Today’s launch represents a bittersweet milestone for the 30 year-old U.S. program. While many of us are sad to see the era of the shuttle come to a close, we can take pride in the many accomplishments of the men and women at Johnson Space Center and those of the contractors and greater Texas community who provided critical support to the program over the past three decades. 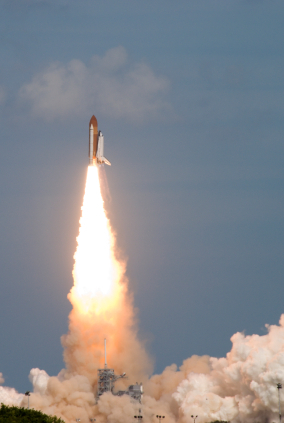 While today marks the end of the shuttle’s chapter, we know this is not the end of human space exploration. I will continue to work with my colleagues in the Texas congressional delegation to ensure our state remains at the helm of a robust human space program, which will help the U.S. maintain its competitive edge and stand as a source of pride for all Americans.